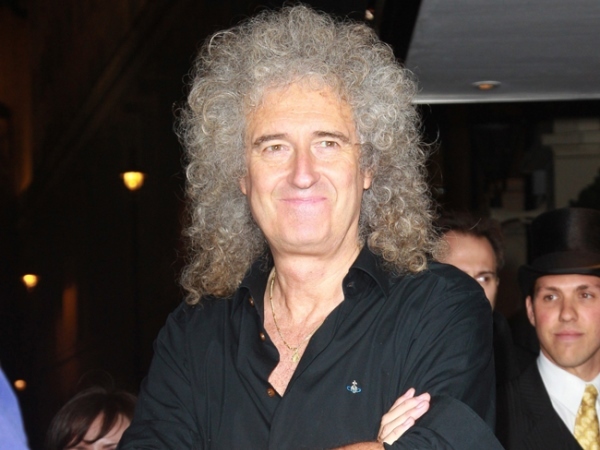 Brian May celebrated with a cup of tea after being cleared of prostate cancer. The Queen guitarist is relieved to have learned in a biopsy last Friday that he has no cancerous cells after doctors came across "some small possible problem areas" on his prostate. In a blog post to his fans, Brian wrote: "I got a great phone call from my specialist this evening. "He said, 'I have great news ... we did not find any cancer cells.' So finally, as far as that vital organ is concerned, I thank God - in the clear. It's a great relief. I celebrated in the studio with a cup of tea." The 66-year-old musician revealed last month he had a series of "urgent" tests to rule out the possibility of the disease, after complaining of back pain last month. He previously stated: "The scans showed up all kinds of mechanical disc and vertebra problems that might be the cause, but there were also some abnormalities in the bones - things that the report said needed urgent attention. "So I've been having a series of blood tests, ultrasounds, and various kinds of scans, to see if they could rule out various kinds of cancer." Brian - who is married to former EastEnders actress Anita Dobson - admitted he feared the worst when the tests started because his father Harold died of cancer at the age of 66. He said in an old blog post: "On hearing the "C" word something happens inside you ... of course. I've seen so many of my dear friends fighting it ... and my Dad lost his battle at age 66, exactly the age I am now. So over the last few days I've been in various states of unrest ... The REALLY great thing is that so far the tests have eliminated a lot of nasty things. (sic)"